The Culture Secretary Karen Bradley has today stated that she is ‘minded to’ refer the proposed buyout of Sky by 21st Century Fox on plurality grounds, for further review by the Competition and Markets Authority (CMA). Whilst that is welcome news, we are troubled that no substantive concerns have been raised in respect of either broadcasting standards – which includes reference to corporate governance – or in Ofcom’s fit and proper license test. This is clearly out of step with mounting evidence of an on-going culture of racism and misogyny in Murdoch newsrooms on both sides of the Atlantic. Just like the rampant phone hacking and other criminality exposed at the former News of the World, it is a culture that has festered under the watch of both James and Rupert Murdoch, neither of whom have been properly held to account for the institutional corruption they have presided over for decades. We are equally concerned that the more in-depth review by the CMA could be scuppered by an acceptance of weak and ineffective undertakings offered by the merging parties. 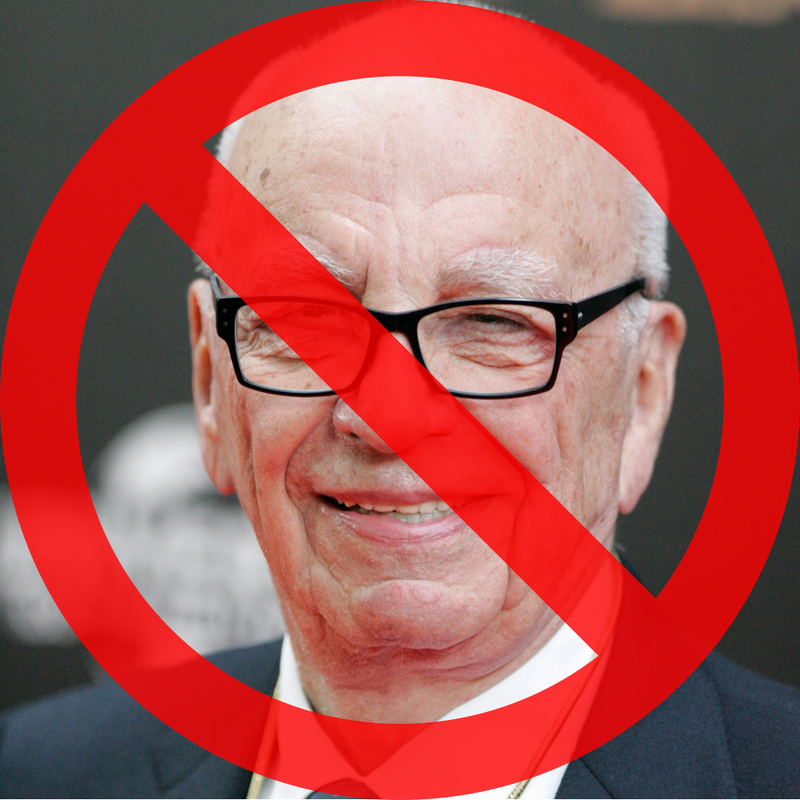 Undertakings promised by Rupert Murdoch in the past have either been breached or proven completely useless in keeping him at arm’s length from his newsrooms. James Murdoch himself has stated that he does not expect approval of this merger to require ‘meaningful’ undertakings, implying that anything he proposes will be, by his own account, meaningless. We nevertheless welcome the opportunity to submit further evidence in regard to both plurality and undertakings which support our view that there are no grounds on which this deal should be cleared in the public interest. The acquisition must be opposed. The Murdoch empire has far too much influence in the main stream media as it is. The group’s aggressive promotion of reactionary, xenophobic, and sexist views has had a malign influence ion Britain’s cultural and political life. Rather than extending the group’s influence, we need legislation that will reduce it!